Want to Schedule a 1-on-1 webinar today? 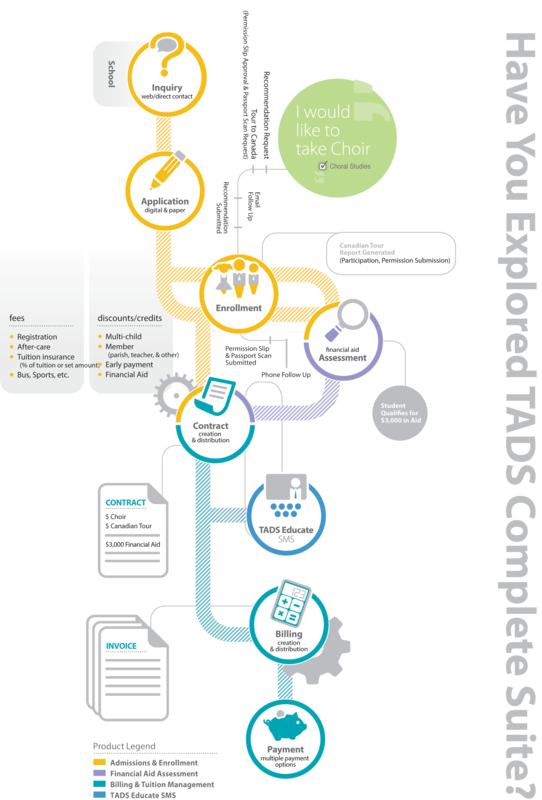 Are You Utilizing TADS Complete Suite? Schedule a 1-on-1 Webinar Below! What is the TADS advantage? The private-school world is converging on a revolutionary all-in-one school business suite, the powerful TADS system. Admissions, Enrollment, Financial Aid, Billing and TADS Educate SMS are available in one powerful full-service system, seamlessly giving schools and families a single resource for all their needs. Because each product integrates flawlessly with each other, you can automatically build and distribute financial aid awards and tuition contracts through delivery channels tailored to each family’s preferences. Plus, you’ll never enter family or school information into different systems. That’s true integration. Stay In The Know With New Reports, Blog Posts, and More! Join hundreds of School Staff in the know with our bi-weekly Blog Digest!